Pride is around the corner and the neighborhood is always on pride night. 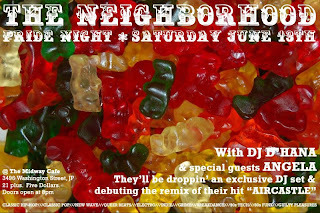 Your favorite electronasty duo Angela will be droppin' an exclusive dj set & debuting the remix of their hit "aircastle". Good post over dancing ..